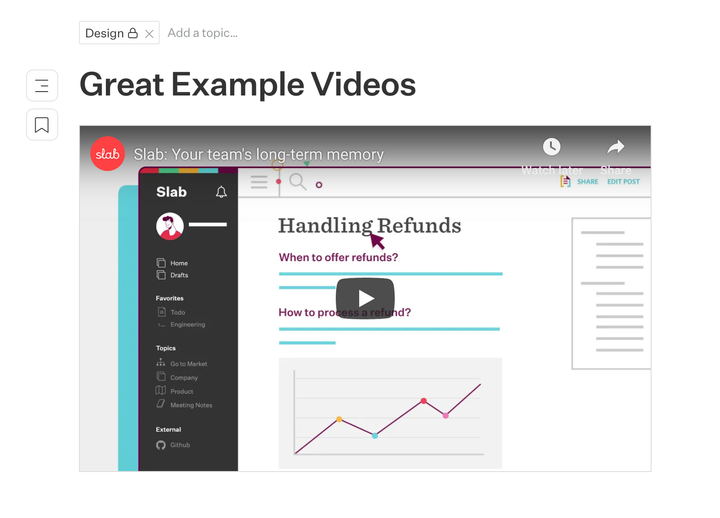 Embed videos from YouTube in a Slab Post. Paste in a YouTube video link to embed the video in Slab, and play it right from the Post. This integration works out of the box - no setup required. © 2019 Slab Inc. All rights reserved.